Airtel Nigeria, the second largest telecoms company in the country, has several data bundles for subscribers. Subscribing to a data bundle is one thing, how to check your Airtel data balance is another. For most Airtel Nigeria subscribers, the numerous data plans are confusing enough. Because there so many bundles, it is a nightmare keeping up with them. Equally frustrating is the how to check your Airtel data bundle after you subscribe. There are so many codes for each data bundle one easily gets confused. Perhaps, the smartest thing to do is to subscribe to just one bundle and stick to it for ever. That way, you have just one code to bother with when you check your Airtel data balance. If only it were that simple. The fact is, Airtel, like most of the networks in Nigeria, keeps coming up with new bundles to fit different scenarios. So sometimes, it becomes unavoidable to subscribe to more than one data plan. The biggest challenge is keeping up with all the data plans. An even bigger challenge is how to check your data plan once you subscribe to a bundle. 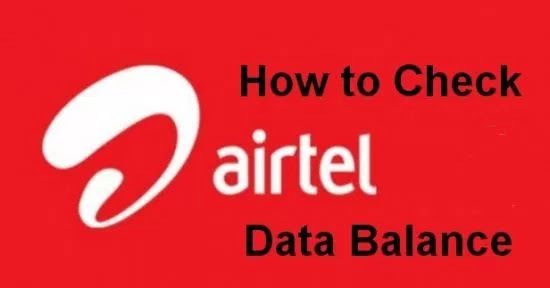 Below are all Airtel data bundles, how to subscribe to them and how to check your data balance to see how much you have left. The Airtel normal data plan has several categories, including the daily, weekly and monthly bundles. Daily – Dial *410#. You would be given 30MB for the day. This costs just N100. 25MB, 5MB/day, 5 days bundle – dial *412# to get 5MB daily for the next 5 days to make it 25MB in total. It costs N100. Weekly – dial “412# to get 750MB for 2 weeks. It costs N500. The Airtel Android data bundles used to be the normal monthly plans. But with the dominance of Android smartphones and devices, it was changed to the current Android plan. To check your Airtel data balance for your Android plans, simply dial *223# . You would get an instant notification of your data balance. But if you want to get the data balance plus expiry date, dial *140#. You would receive an SMS with the information you need. Airtel has several Blackberry plans; including plans that work for Blackberry 10 devices. Note that BB10 devices are different from the normal, classic Blackberry devices. The WTF bundle was introduced to give Airtel subscribers unlimited access to social media sites like WhatsApp, Twitter, and Facebook. You can subscribe to the weekly or monthly bundle. This plan is just for WhatsApp alone. If you want to subscribe to it, just dial *948#. It would give you access to WhatsApp for 1 months at N100. With the Airtel Opera Mini bundle, you can do quite a lot because of the famed data compression technology of the browser. Those are the codes for checking different data packages on the Airtel network. However, the code *140# should be sufficient to check any Airtel data balance. If that does not work for one reason or the other, then you can try the individual USSD codes to check your Airtel data balance.